1 in 5 kids has dyslexia. Many of these kids are silently struggling. The regular education system is heavily language-based with a strong emphasis on reading, writing, and comprehension. Just the places where kids with dyslexia struggle. Special education classrooms have children with a variety of needs, including behavioral and emotional issues, which makes it hard to address the specific needs of students with dyslexia. Stuck in limbo, these students end up frustrated, disillusioned and thinking that they are not as smart as their peers. Kol Koreh has heard their voice. Now kids with dyslexia can find the help they need. 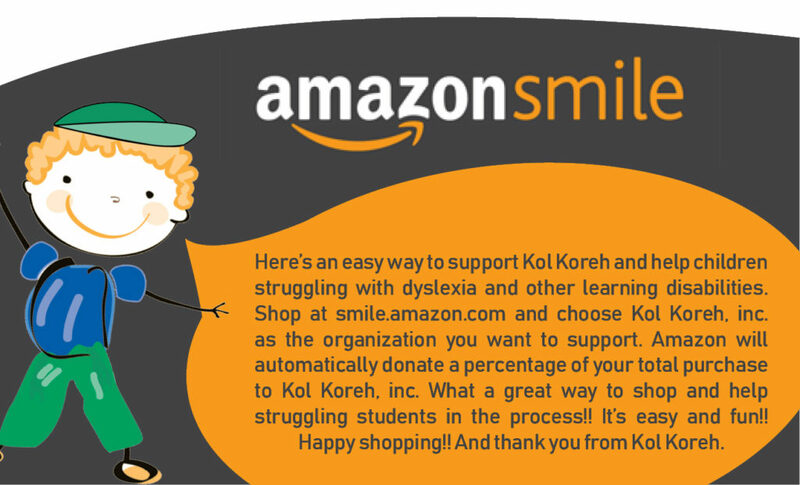 Kol Koreh helps hundreds of parents, professionals, and children every day by providing a whole framework of support, including assessments, educational workshops, parental support, liaison between students and school, and a vital source of information for parents. Zionist Innovation Award sponsored by Nefesh B’Nefesh, JNF and the Blumenthal Family Foundation. Copyright 2016 Kol Koreh | All rights reserved.